Insulation is one of the most cost effective ways to increase your home’s overall efficiency and comfort. The same barrier that slows heat from exiting your home during the winter will also prevent the stifling outdoor air from penetrating your home in the summer. Insulation’s effectiveness is measured by its r-value, and the rule of thumb here is the higher the better. *These recommendations are based on Climate Zone 3. Some homes in Arbor’s service area are in Climate Zone 4 and onsite recommendations will reflect that. WHAT DOES THE PROPER AMOUNT OF INSULATION LOOK LIKE? If your attic insulation is below the joist or comes just to the top of it, you need more insulation. Even if you can’t see the joists, your attic might still need more insulation. It’s always best to work with a home performance contractor to determine exactly how much insulation needs to be added. 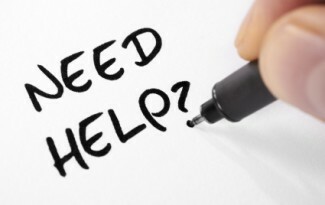 Get started with a FREE Home Diagnostic test and see optimum insulation amounts can improve the indoor comfort & efficiency of your Georgia home. 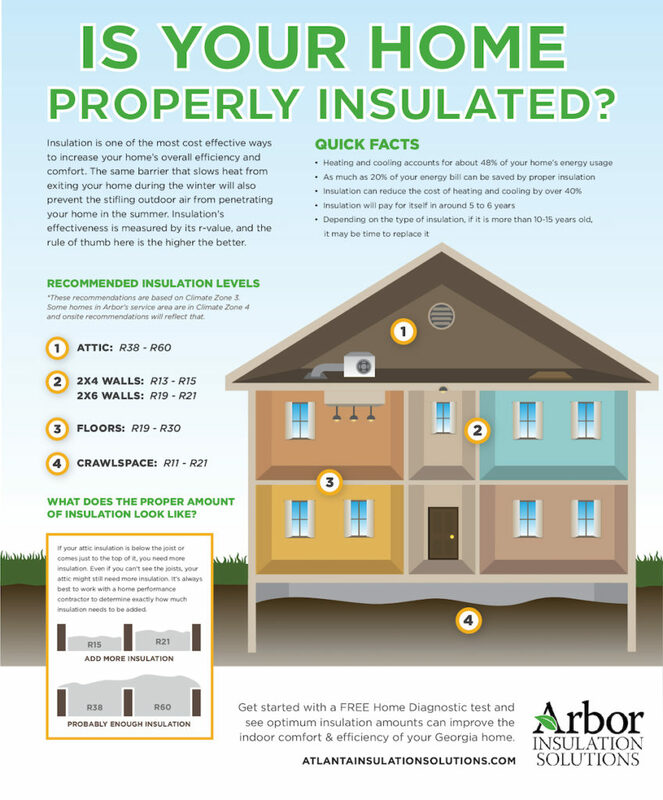 Is your home insulated properly? Talk to our experts to find out!